There is a widespread conviction that the current sov system is problematic. Personally, I do not believe that the problems can be fixed with tweaks, just as there was a general consensus that the Dominion system could not be fixed. As I wrote in the last article, I am convinced that the problems of sov-nullsec are much more fundamental. I decided to not just criticise, but propose an alternative instead. I am aware that the following proposals are not completely worked out, but I did my best to include suggestions by other players, address issues which I saw returning in discussions over years, and attempt to build a system that would not favour one playstyle over another. In the end, this will very likely remain a pipedream—an elaborate “what if” scenario—and I am not getting my hopes up that CCP will ever implement this. If they would, however, I think it might bring EVE to a whole new level of gameplay. Whoever owns the majority of infrastructure in a system is the sov-holder. Infrastructure is defined as the combination of Factories, Colonies and Citadels. The infrastructure majority is based on both quantity and diversity. For example: Three alliances operate in a system. A runs six Factories, B has three Factories and two Colonies while C owns two Colonies, one Factory and one Citadel. In this case C would hold sov because they have every type of sov component. If C had no Citadel, B would hold sov because they have a higher diversity than A, and one Factory more than C. If everyone were only operating factories, A would hold sov. In case of a tie in numbers and diversity, the party owning the oldest facility holds sov. If all infrastructure in a system is destroyed, sovereignty is retained by the party that held it last. The system only changes owners when new infrastructure is built. Under this system, alliances can not only fight militarily over sovereignty, they can also contest it by structural expansion. To gain sovereignty in a deserted system would be extremely easy and requires comparatively little in terms of ISK. All it would take is the amount of material that can be brought in with a blockade runner or two. On the other hand, heavily built-up systems would require prior destruction of assets. However, to avoid the Providence scenario, a constraint is needed that prevents systems from being built-up indefinitely. More on that in the next sections. Factories are PI installations with a few sovereignty-specific game mechanics added. In a completely deserted system, Factories are sufficient to establish sovereignty. 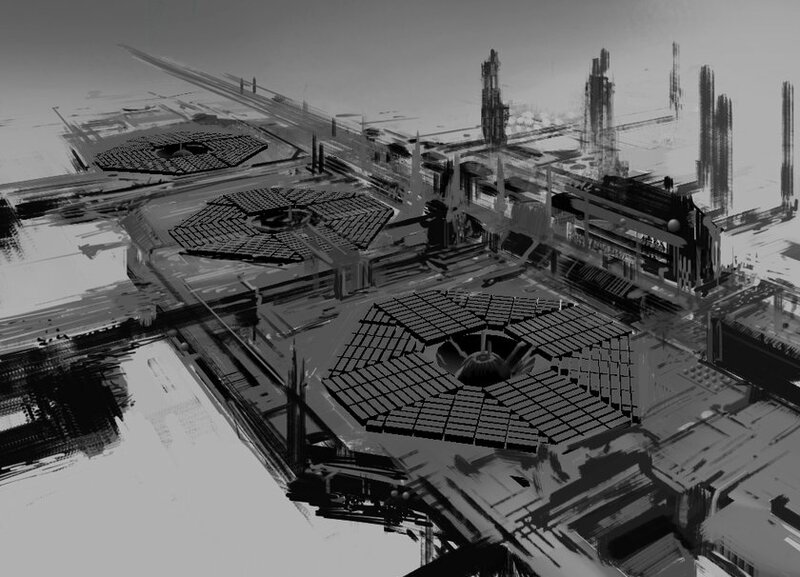 Information about ownership of Command Centers on a planet will be available. Control over PI facilities can be assigned to people with an appropriate corporation role, similar to the way POS fueling works today. Factories can be attacked and destroyed from orbit. This will create a warning to the owning corporation but not a timer. Factories can be hacked and taken over by means of an Entosis Link. This will create a reinforcement timer. If a PI installation remains inactive for a set amount of time (for example one week after the last program cycle completes), it stops counting for sovereignty. PI installations can be transferred to another owner. The destruction and hacking of PI installations could lead to sov-trolling but the orbital bombardment mechanics also carry some risk for the attacker, and that makes sov trolling rather less effective. This is particularly true for well established alliances, because they will most likely have Colonies or Citadels anyway, and would not lose sov even if their Factories were destroyed. To really make life difficult for a sov-holder, structures would have to be put in place. I doubt that people would spend the time and the ISK to set up facilities that can be destroyed the next day just to annoy a sov-holder. Furthermore, if someone builds structures just to troll, they would be throwing resources at the sov holder, because it will be possible to benefit from unused structures. Note that Customs Offices do not count as sovereignty infrastructure but can actually be used to tax the sov-holder if they do not install their own. Colonies can only be built on temperate or terraformed planets in sovereign nullsec. Terraforming requires a precursor structure that can later be converted into a Colony with ISK; it takes a set amount of time to create livable conditions on a planet. The duration of terraforming can be reduced by feeding it specialised human resources—the terraforming engineers. They can be created in training centers. Only barren, ice, oceanic and storm planets can be terraformed. Colonies built on terraformed planets produce a lower output in human resources. This would be subject to balance considerations, but probably oceanic worlds would come close to temperate worlds and barren being the least efficient. A planet that is used as Colony can not be used for other PI. As a consequence of the above, all PI installations on a prospective Colony planet have to be removed or destroyed. Colonies produce more colonists as they are expanded. A fully maxed out Colony should be just enough to provide human resources for one L size citadel. XL Citadels would need more than one Colony’s worth of people. Colonies require one residential, one industrial and one agricultural module as a minimum but can be expanded. Each residential module requires colonists to build, plus an agricultural and industrial module to sustain it. Agricultural and industrial modules use resource extractors (farms, mines, etc.) which work similar to PI and are subject to resource concentrations on planets which would also deplete like PI resources. The amount of resources gathered by the extractors influences the production rate of colonists. For each residential module, one training center can be built which can be used to convert any human resource into another. Colonies are owned by the corporation that has built them, and access to its facilities works similar to PI access i.e. based on corporation roles. Colonies can be destroyed with orbital bombardment. Doing so creates an atrocity index for the offending corporation and an alert for the colony owner, but no timer. With the colony system, players have different options to develop and cooperate. People can specialise as colony builders, human resource traders or destroyers. The fact that suitable planets are limited leads to a resource optimisation problem, which then determines the amount of infrastructure that can be built based on available planets and space. Think of it like ship fitting: You have a resource cap, but you can balance it in many different ways leading to multiple feasible combinations. Trade—Human resources (Janitors, Militants, Exotic Dancers, Tourists, etc.) can be bought and converted into colonists. Where applicable, existing human resources will not be an infinite-supply NPC trade good but can only be gained as mission loot. Conversion requires a training center. Trained colonists can also be traded. Generate them in colonies—Colonies that operate at maximum capacity continue to generate colonists which can then be used to create new settlements. Alternatively, existing colonies can be dismantled and moved elsewhere. Spoils Of War—Destroying a Citadel will release a set number of survivors. Ship wrecks will also contain survivors as loot. The exact amount depends on ship size. Finally, the destruction of Colonies also produces survivors which can be extracted with a tractor beam. All survivors can be converted in training centers. Destroying a terraformed colony leaves no survivors. They all die in the harsh climate of the planet without their facilities. Again this creates a potential conflict driver competing with an incentive for peaceful conduct. Players could undertake Sansha style incursions to abduct colonists or they can do their best to defend colony systems from such attacks. Certainly some will try to withdraw and reinforce as much as they can, but I think it unlikely that they will be able to indefinitely protect each system. On the other hand, a total war scenario would also not be sustainable; if all of nullsec became scorched earth, the supply of human resources would collapse to the point where infrastructure could not be supported anymore. The purpose of atrocity indexes is to create a balance between destruction and creation. Ravaging marauders should have a harder time to establish new colonies, while peaceful empires will easily attract new citizens. On the one hand, this would create an increasing cost to violent expansion, and make it hard for sov-trolling corporations to start holding sov of their own. On the other, it creates a new incentive to hire mercenaries for dirty work. The atrocity index affects whole corporations. Alliances inherit part of the Atrocity Index of their member corporations. The exact proportion would be subject to game balance. If a corporation leaves the alliance, their proportion is subtracted. Likewise, corporations that join while having an atrocity index will add to the total of the alliance. The atrocity index increases the cost for building colonies exponentially i.e. destroying a size 1 colony keeps the cost the same, destroying two such colonies or one size 2 colony increases colony costs fourfold, and so forth. The exact progression can be fine-tuned for balance. The atrocity index can be reduced by building new colonies but it also fades over time similar to jump fatigue. The function of reduction-over-time should be sufficiently long; corporations and alliances that devastate world after world would eventually need to wait weeks—or even months—before they pay the base price again. Atrocity does not influence the cost for terraforming. People could potentially create alts to do the dirty work for them and game the system that way. However, since the orbital bombardment mechanics would require a significant skill level and ship class, this will be impossible on throwaway trial accounts. Considering the expenditure, players might want to use their alts for something more productive. Only a single ship can attack any given Factory or Colony to avoid “one-cycling” by large fleets of bombardment ships. Of course, a large fleet could still split up and potentially target all the separate installations in a system. Orbital bombardment requires a new type of siege module and a fitting skill that reduces its base fitting cost. This module would only fit on battlecruisers and larger ships. It works similar to similar modules in the way that it immobilises the ship and prevents remote repair but at the same time increases the ship’s local tank. The cycle time would be subject to game balance, but should be sufficient to make it impossible for this to be done undisturbed in an active system. Orbital bombardment is immune to electronic warfare, once the guns are calibrated they just drop ordnance. Hit points of planetary structures would be assigned in such a way that bombardment effectively results in a “structures per cycle” rate of destruction. 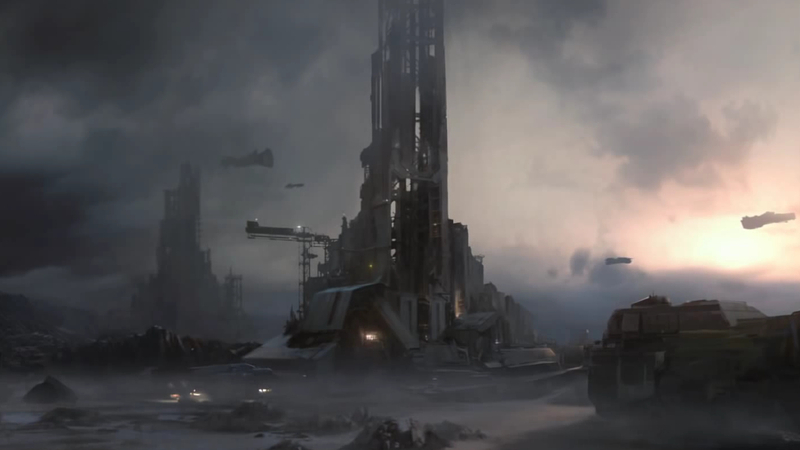 That would have to be reasonably balanced with the cycle time; an example could be that medium guns would need three cycles to destroy a structure, large guns require two and the XL guns of a Dreadnaught destroy a structure in one cycle. Only structures of size M and above count as sovereignty infrastructure elements. All Citadels size M and above require personnel to run. This takes the form of an initial build cost based on the structure’s size. 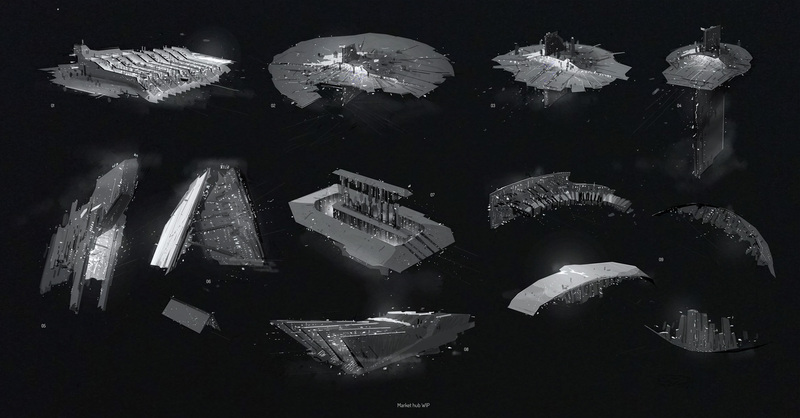 All functions of the iHub will be folded into Citadels. The functions they can take would depend on the structure; the devblog on Citadels has more details on that. In addition to any other modules CCP already has in mind, Citadels could also include a training center which can be used to convert human resources. Active Citadel modules would also require specialised human resources to install and run. Shipbuilding would require engineers, defense installations would require military personnel, and so on. Those specialists could be generated in training centers or bought. The requirements would vary depending on the size of the Citadel or the specific function i.e. a supercap building facility requires more personnel than one building cruisers. Ship production facilities require a constant stream of crew resources similar to POS fuel today. Again, the amount would depend on the size of the shipbuilding facility; crews could also be produced in training centers. Citadels can be transferred to another owner. Planetary Defense Shields—Those increase the structure hitpoints to a degree that would influence the destruction rate. Maybe to +1 cycle per structure. Planetary Defense Batteries—Gun emplacements that either fire automatically or can be controlled by a player similar to the way the POS Gunner role and skill works now. Automatically firing guns will only fire at the bombarding ship. They require a gunnery team human resource. Robotic Survey Probes—An automatic system that increases the resource gain from either Factories, or a Colony’s industry and agriculture modules. Propaganda Network—Reduces the amount of survivors dropped by destroyed Citadels and Colonies. The citizens would rather die than become captives. The propaganda would also help to accelerate atrocity decline for the owning corporation. Rescue Teams—A percentage of survivors are returned to the nearest friendly station instead of becoming available as loot. Early Warning Systems—Reports if one or more enemy or neutral ships enter the system with a bombardment module fitted. Cloning Facility—This is a colony structure that uses loot DNA as a blueprint to create clones. Those are custom made for one specific job and can learn nothing new (can not be converted in training centers), but they can be substituted for any other form of human resource. One DNA run should create a meaningful amount of clones: Enough to seed a new colony, create an industry team, supply ship crews or train a gunners for a defensive installation. They will be designated with their function i.e. Gunnery Clones, Ship Crew Clones, Engineering Clones, etc. 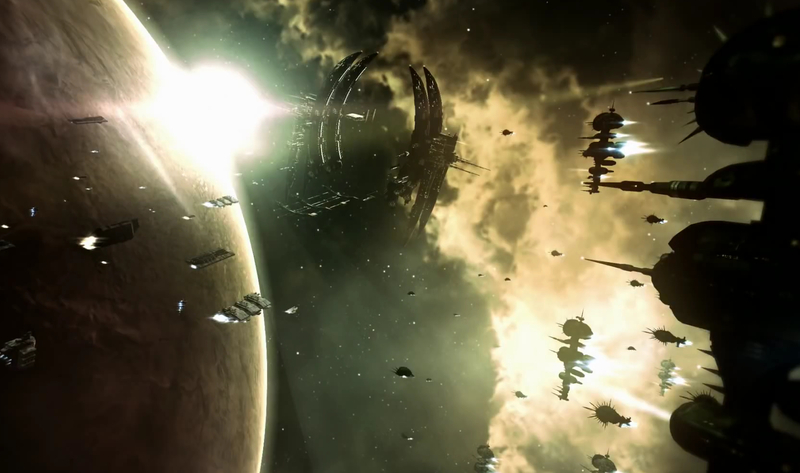 Titans and supercarriers can be built in the system as before. XL Citadels can only be built in claimed systems, they do remain functional even if sov is lost. The sov-holder gains a reduction in all human resource costs for Colonies and Citadel facilities. This is subject to balance considerations but maybe around 20%. That reflects an influx of immigrants from Empire Space. This bonus gets reduced by the atrocity index until, at a certain level, it becomes zero. 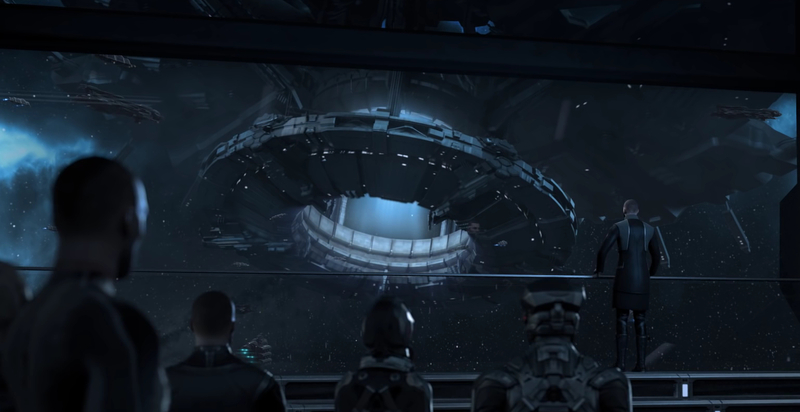 The sov-holder can install upgrades as today with the exception of the Pirate Detection and Entrapment arrays because NPCs act differently in this system. The sov-holder can create special human resources in training centers to improve their manufacturing, refining and reaction facilities to levels above anything achieveable elsewhere. It should potentially be cheaper and faster to source and build ships or modules in a sov system. This effectively re-introduces the team system but for sov-null only. Teams can be transferred and traded, but they do not move around on their own accord as they used to. They also cost nothing apart from the time required to create them in training centers. The central issue I have with PVE content is its immutability. I wrote an article some time ago, about how this could be improved. In a nutshell, NPCs would react to player behaviour, leaving areas where they get killed repeatedly, and gravitating towards the systems where they either get kills themselves or where player activity is low. 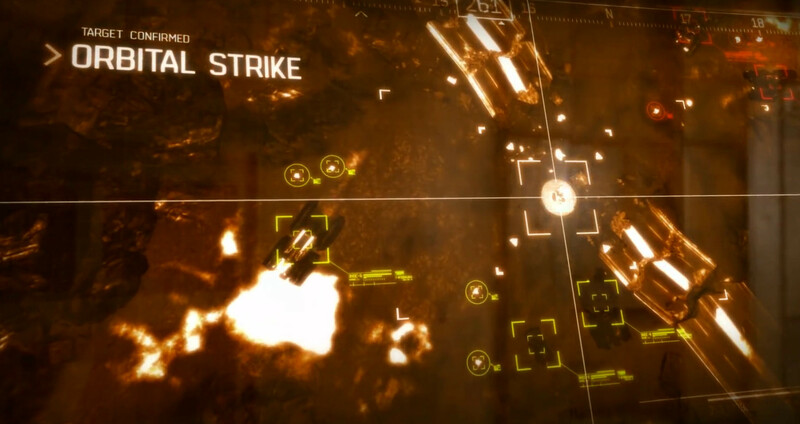 Truesec would drop from the game as a mechanic, and combat sites would move to the border zones where players would inevitably run into each other while looking for PVE content. To prevent the settled systems from becoming too boring, the incursion mechanic could be applied as NPC factions attempt raids on capsuleer systems. These incursions would not be limited to local “standard rats” but could come from any faction. Players would have to seek out PVE actively and avoid over-farming systems. This also creates a counterbalance to expansion. Eventually, a player empire could become so well established that NPCs will only come there for incursions. Thus, smaller groups would have a better PVE selection since they are less of a threat to the NPCs. The much coveted officer spawns only occur in the most remote systems or during incursions. Asteroids and ice belts would also be dynamic. Like in the real universe, they would be clusters of planetoids and meteors that orbit through the regions on given paths. They would move from one system to the next and remain in each for some time. Belts would also be a combination of rocks and ice which would both deplete. Sovereignty upgrades can trap those belts, but once they are mined out they will automatically move on. Only then would they attract new rocks and ice which can be mined again. The longer a belt remains untouched, the more yield it would have. Players could send out survey teams to find the best belts, and mining fleets could follow them, potentially ending up close to hostiles. Moon materials would remain as they are, but to harvest them an anchorable structure would be used, much like a siphon. Those structures should have enough hitpoints to survive a casual attack so owners in the area get an opportunity to defend them. This change spells the end for passive top-down income from moon materials because individual players would have to gather them actively. The transition from the existing sov system would happen in one stroke during downtime. All sovereignty structures vanish from the game and existing claims disappear with them. This would also actually work from a lore perspective if CONCORD then decided to completely withdraw from involvement in sovereignty. PI installations would count under the new system though, so some sovereignty would be retained.To prevent resident organisations from building up their PI unchallenged in advance, the orbital bombardment mechanic gets introduced ahead of time. Without human resources, Citadels and shipyards would stop working, and colonies would have to be built to re-start them. The result would be a complete collapse of existing sov and a rush of players trying to (re)establish themselves as quickly as possible. This process would take some time while the needed human resources are generated and the political landscape of nullsec would change fundamentally. Of course larger organisations will have an advantage because they cover more timezones and have greater numbers, but I find that they deserve some benefit from maintaining their cohesion. However, even they will find it impossible to immediately regain full control of all systems they had before, and if they act with too little planning they may end up claiming more space than they can later sustain. Small groups concentrating on a few systems would have a reasonable chance to establish a foothold. Referring to the problems I have listed in the previous article, let’s see how this system addresses them. Peace is Boring—There is a lot of gameplay for empire builders which could make peaceful regions interesting. Many will probably dislike this focus on mechanics suited for “risk averse nullbears”, but I have come to the conclusion that such players should also get an opportunity to contribute in a meaningful way. Saturation Of Assets and Static Environments—The PVE changes would be the end of static environments and the human resources mechanic introduces a diminishing return into sovereignty. The larger an empire gets and the more they build, the more difficult it will become to expand further as the optimisation problem becomes increasingly challenging. At the same time, this creates a conflict driver. Organisations can not simply blue each-other and have peace forever; at some point they will have to compete for human resources. Smaller groups and nomadic marauders gain a new incentive to raid large empires to exploit the human resource system. Weaponised Boredom—Standing by without fighting an invader would risk the loss of infrastructure. Furthermore, the power of individual bloc FCs to dictate the engagement doctrine would also be diminished. Local residents would have to form their own defense fleets against small-gang attacks targeting infrastructure. Sunk Costs & Logistics—Building a large empire would still require significant time and effort but the initial investment necessary to participate in the sovereignty game would be low. Required infrastructure can easily be moved from one place to the other. Jump Freighters will still be the most powerful asset for logistics, but Blockade Runners and Deep Space Transports would be enough for the basics. In the end, this will likely remain the dream of a sov-nullsec I would love to be part of. I do not know how difficult this would be to implement on a technical level, and I certainly have no idea whether CCP would ever go there. But who knows, maybe there are ideas in this proposal they might pick up? I still think there is a possibility that something similar could become reality one day, and I would love to see that.